In this post we will discuss about the different hosting option for apps in SharePoint 2013. There are 3 hosting options SharePoint hosting, provider hosting and azure auto hosting. Auto-hosted and Provider-hosted apps comes under cloud hosted app. These apps hosted outside of SharePoint server. Since its hosted outside of SharePoint server you have the freedom to develop an app using any language like PHP, Java or .Net. 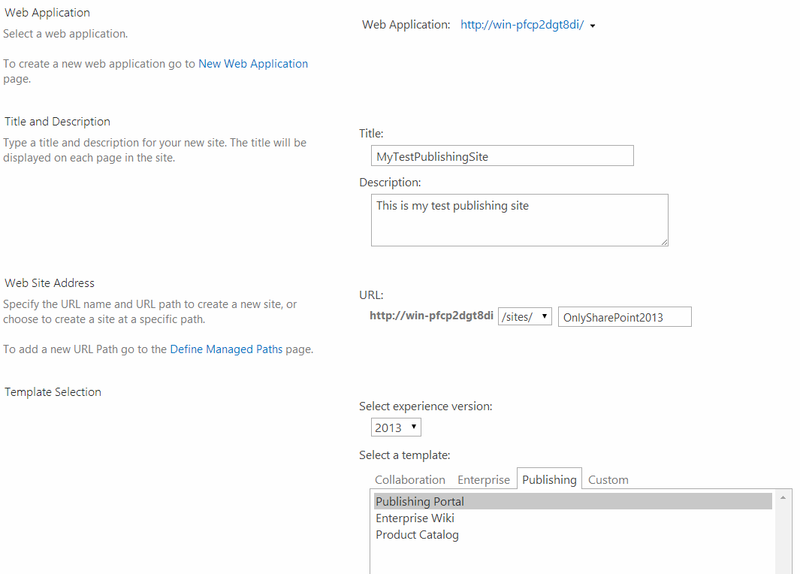 You can write server side code here which will communicate with SharePoint server. Here it will use OAuth protocol for authentication mechanism. Provided hosted app enables developer to define its own infrastructure which may be a dedicated server or may be a cloud server provided by providers like Amazon. Azure auto hosted app is available with Office 365. It contains a web project and a sql project. If you are a Office 365 customer and selected the azure autohosted deployment option, then it automatically wired up al the integration to Azure. The Execute method of job definition Microsoft.Office.Server.UserProfiles.LMTRepopulationJob (ID 50134f59-757c-4d0e-a4c2-74b2620ab047) threw an exception. More information is included below. Unexpected exception in FeedCacheService.IsRepopulationNeeded: Unable to create a DataCache. As the exception message suggested the SPDistributedCache may be down. 2) Select AppFabric Caching Service. 3) Double click the service. 4) Set start up type to Automatic and then click on Start. 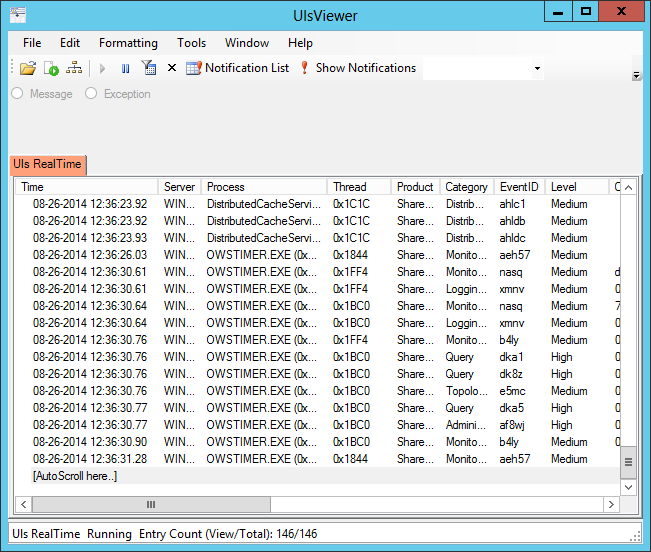 Here we will resolve SharePoint 2013 error HTTP Error 503. The service is unavailable. Recently I got the error while opening SharePoint 2013 Central Administration. 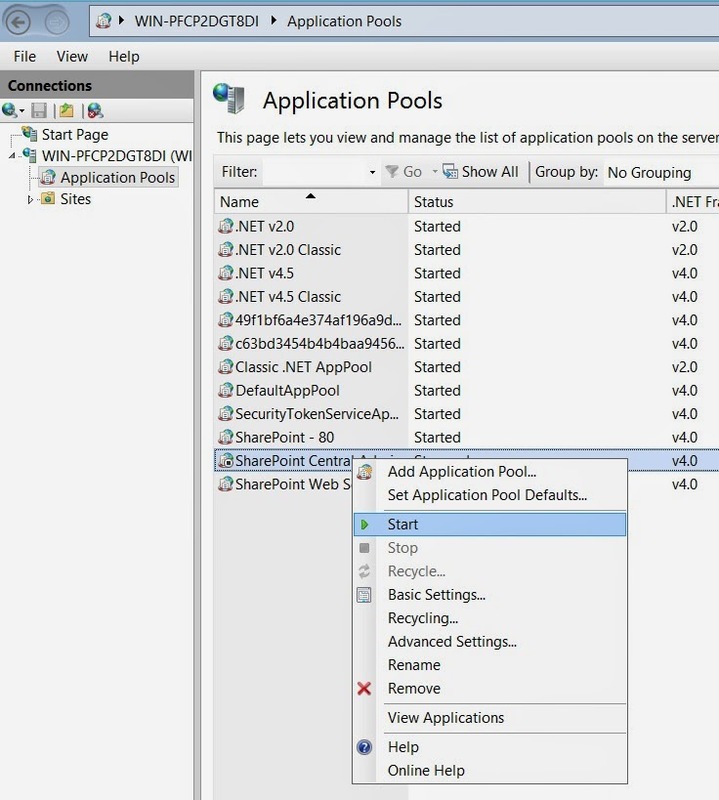 The error comes because the SharePoint Central Administration Application pool has been stopped. For this go to IIS (go to Run -> inetmgr) and then click on Application Pool from the left side, this will open the list of application pools. From the list of application pools, select the appropriate application pool right click and Start. Now the error should not come.